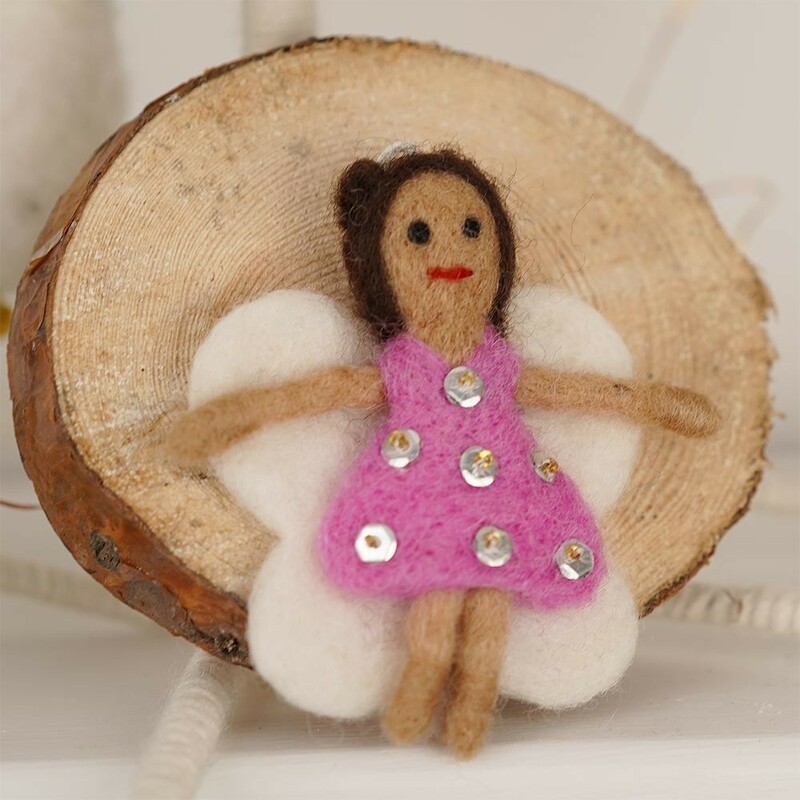 Fair Trade felt angels handcrafted from 100% wool felt by skilled artisans in Nepal. Each angel has a little dress with sequins, brown hair, and little angel wings! These hanging decorations will make a lovely addition to your Christmas tree or a window display.